The Bard in the Botanics festival is the biggest celebration of the works of Shakespeare in Scotland and it has been held in Glasgow every year since 2001. It joins the list of destinations which present Shakespeare�s plays in an outdoor setting on a festival basis. Bard in the Botanics aims to bring imaginative and accessible quality productions of Shakespeare to the people of Scotland and beyond during the summer months. The company also offers acting and performance classes focusing on the works of the Bard, for both adults and young people. 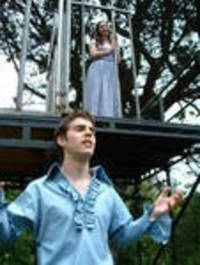 Previous productions include such Shakespearian favourites as A Midsummer Night�s Dream, Othello, Hamlet and King Lear. Bard in the Botanics performances are held in the main Botanic Gardens in Glasgow and the gardens are easily accessible by bus from several locations around Glasgow. The nearest Underground stop for the Botanic Gardens is Hillhead Station. For full details about the programme of productions during Bard in the Botanics, visit the official website of this charitable company � www.bardinthebotanics.co.uk. 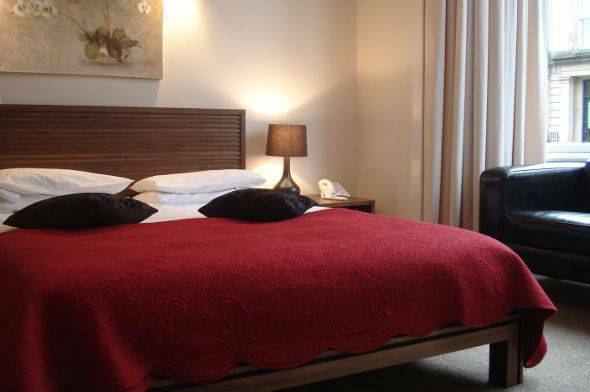 The Sandyford Hotel is conveniently located between the West End and the City Centre of Glasgow. This family-run hotel is just south of the Botanic Gardens on the other side of Kelvingrove Park. We provide B&B accommodation in the heart of Glasgow at affordable prices with full Scottish breakfast included in our bed and breakfast packages. Our 55 rooms are furnished to a high standard of quality, yet you will find that our prices are very affordable. To book one of our cheap hotel rooms during the Bard in the Botanics festival, call our reservations desk today on (+44) 141�334 0000. We will be delighted to advise you on available rooms for your dates and show you how to get the most out of your time in Glasgow. It is also possible to make a booking on our website, with the help of the online reservations form. Come to Glasgow in the summertime and make The Sandyford Hotel your Bard in the Botanics hotel.